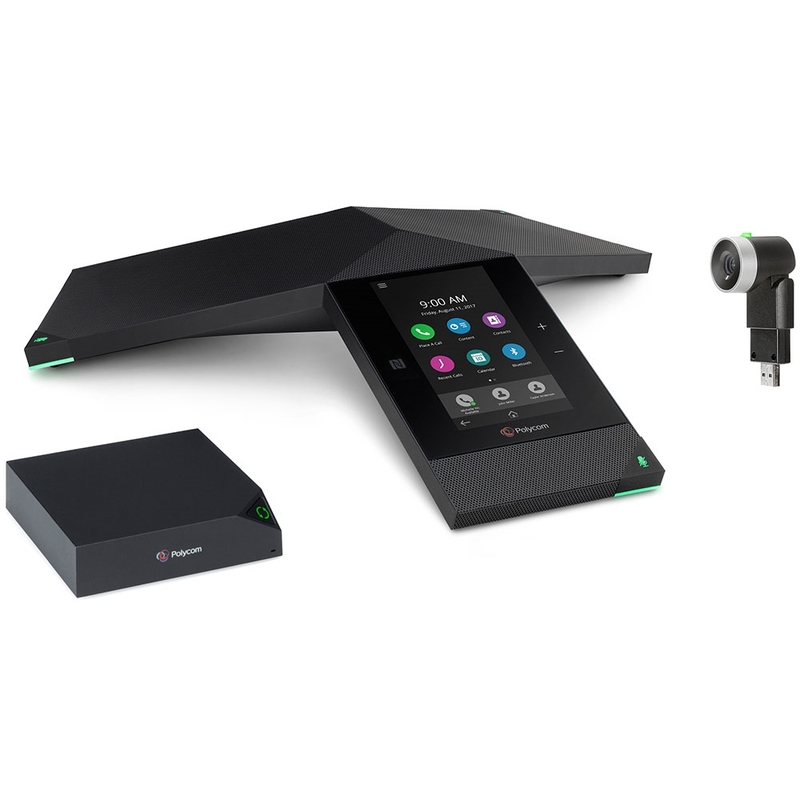 Get the Polycom Trio 8800 IP Conference Phone with Polycom EagleEye Mini USB Camera and Polycom Trio Visual+! This bundle enables HD video conferencing with the Trio 8800 providing incredible audio with 360° pick-up out to 20ft. Trio 8800 has a simple, gesture-based touchscreen interface, as well as integrated Bluetooth and NFC capability. 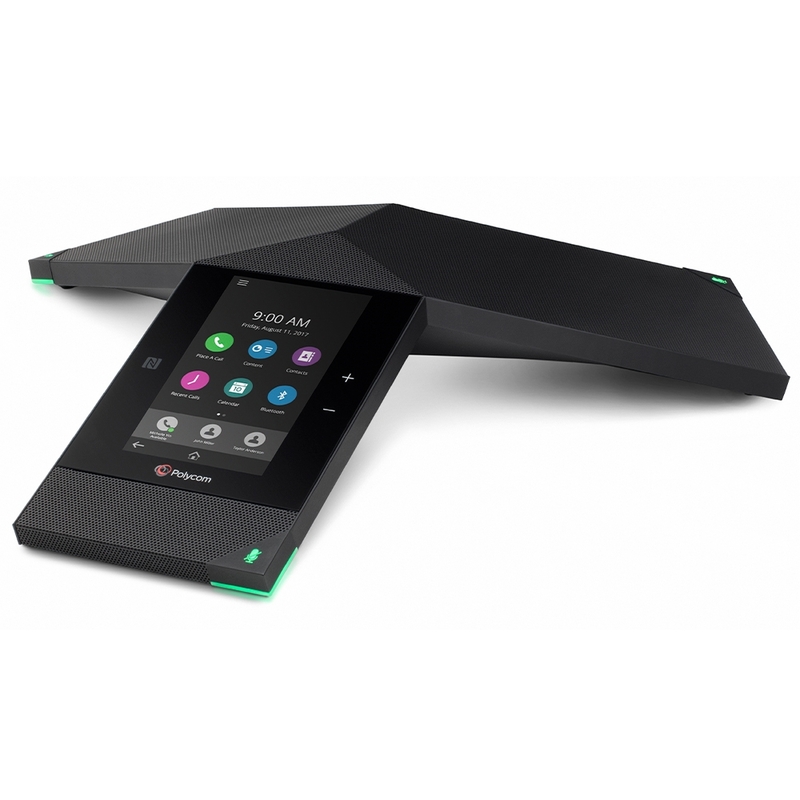 Polycom Acoustic Clarity technology improves conference calls with full-duplex transmission, echo cancellation, and more. Polycom NoiseBlock significantly reduces background distractions. Connect to the network using Gigabit Ethernet or WiFi. 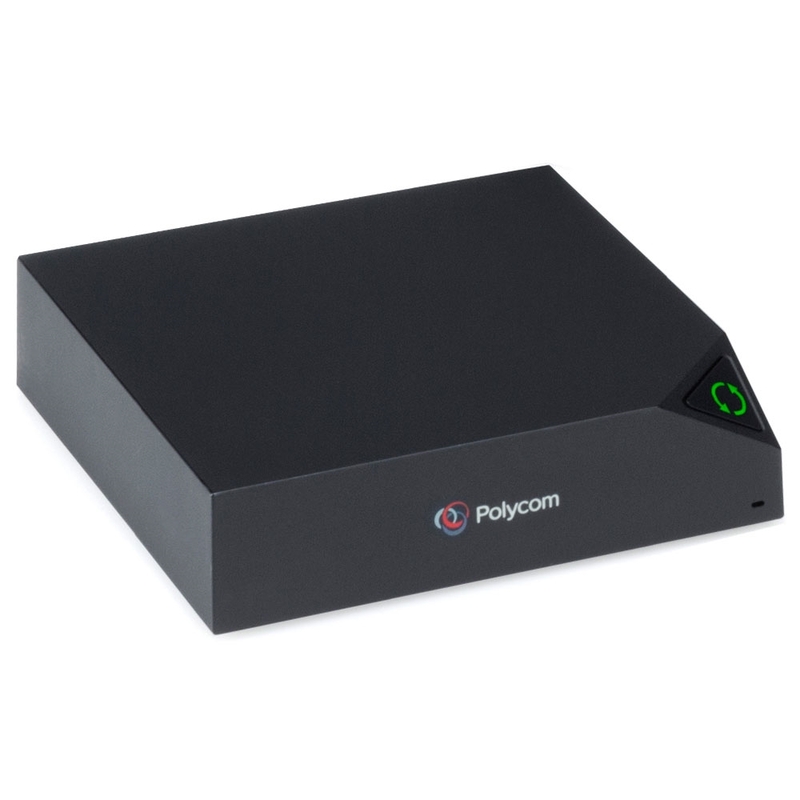 Polycom EagleEye Mini is a plug-and-play solution for video conferencing. 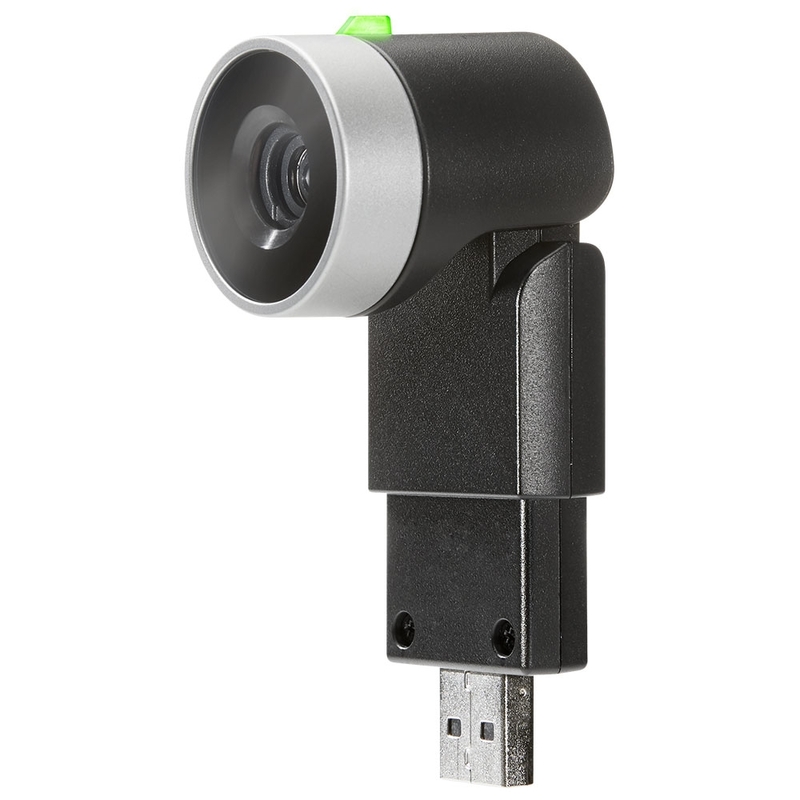 A USB camera that plugs into a compatible device to connect, EagleEye Mini takes 1080p Full HD video with 24-bit true color. EagleEye Mini uses a lens with f/2.0 aperture to provide bright, detailed video. Polycom Trio Visual+ enables video and content sharing using Trio 8800. This collaboration kit uses the open SIP protocol to provide extensive interoperability with standards-based VoIP and unified communications systems.